herbaceous plants, shrubs or rarely trees. Stem: round to square, Leaves opposite or alternate. Irregular flowers in spikes or clusters, sometimes solitary, bracts present. Calyx lobes 4-5, sometimes two lips. corolla 5-lobed or two well defined lips. 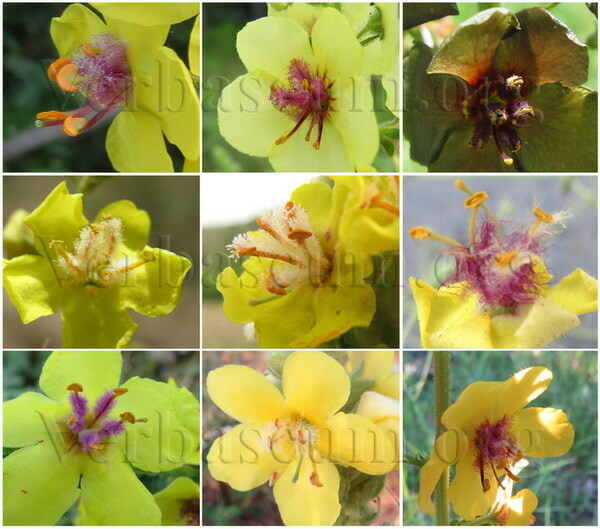 2-4, sometimes 5 stamens. Style alone. Ovary superior, 2-boxes. Fruit: capsule often bipartisan. 3000 species in 220 genera common almost everywhere in the world, mainly north temperate. Differs from the Labiatae capsule friut and often alternate leaves. Habit: annual (rarely), biennial, or perennial (monocarpic), 0.5 to 3 m height. Stems: erect; glabrous, puberulent, hirsute, tomentose; sometimes glabrescent, glandular or eglandular; rounded or angular. Hairs: Three main different types: 1. glandular hairs (stipitate or sessile); 2. 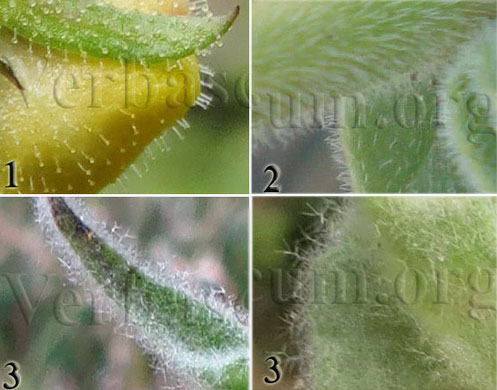 Simple hairs (un-branched, non-glandular covering); 3. different type of branched and/or stellate covering hairs. These types of hairs can be appear alone or together in one species. The upper leaves are smaller, simpler in form and sessile and in some species, decurrent on the stem. The stem leaves are usually relatively wider than the other, acute; and for some, narrower and acute. The hairs on the leaves show significant differences. They can have simple, glandular, branched hairs or glabrous, pubescent or dense tomentose. Pedicels: present, sometimes reduced or absent; bracteoles present or absent. Inflorescence: in spikes or panicles. Corolla: yellow, white, orange or sometimes purple, tube very short, five wide spreading lobes. Stamens: 5 (sometimes 4 fertile and 1 staminode) or 4 (previously it was known as genus Celsia). Filaments are usually villous (white, yellow, purple). Calyx: with 5 equal lobes, linear-oblong to elliptic or triangular. Gynoecium: Style filliform or thickened above. Ovary bilocular, generally with many ovules. Fruit: globose capsule, symmetric, ovoid to elliptic-ovoid, broadly elliptic, ovoid-globose, or subglobose. Seeds: small, usually with five transverse rows of pits.